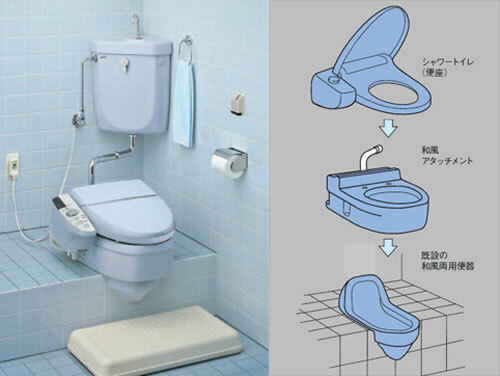 For ¥36,400 ($296) Inax will provide an attachment (PDF link) that sits atop an old-style squat toilet to create a structure upon which buttocks may be (carefully) parked. That’s not all, though - an actual seat needs to be added to finish off the assemblage. Inax sells a range of electronic ‘Washlet’ shower units that warm, wash and dry sensitive Japanese rears starting at around ¥74,000 ($602) on top of all that. Ouch.